Last week, I, along with a few other bloggers, got invited to a dinner hosted by Visa. Did you know that we already have Visa debit cards here in our country? How cool is that! For those unfamiliar, what makes the Visa debit card different from others is that it’s not just for withdrawing cash at ATM machines. No more running around the mall, looking for ATM machines because you ran out of money to pay for your purchases.Â With the Visa debit card, you can use it right away even if the establishment you’re shopping or dining at doesn’t have debit card terminals. 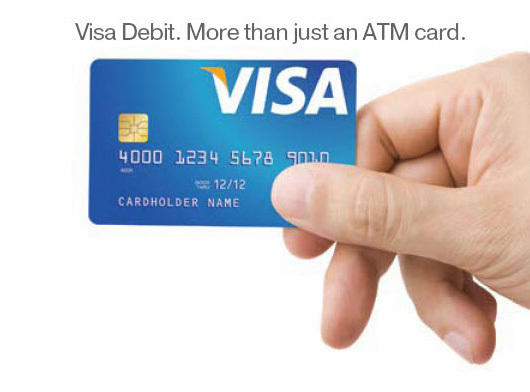 As long as they have a Visa credit card terminal, your debit card can be accepted. Isn’t that great? No more getting all paranoid because you’re carrying tons of cash with you. No more worrying whether you have enough cash with you to pay for whatever it is you need to pay for. But if it’s just carrying cash around that worries you, why not just stick to credit cards you ask? Well, first of all, credit cards promote debt. Because of the “buy now, pay later” nature of credit cards, you tend to spend more than what you can afford (trust me, I know). Debit cards provide you with the choice to “buy now and pay NOW.” They access funds from your checkings or savings bank account and work like you were paying with cash.Â This way you’re forced to monitor your debit card purchases and stick to your budget so that you don’t overdraw your account (ahem! Calling all parents! This is what you should give to your kids). Second, no monthly payments! Again, this is because each transaction made through your debit card is withdrawn directly from your bank account. And last, but most importantly, you’re much safer with debit cards. Unlike credit cards, which thieves can easily use, only you can use your debit card. It’s like your personal wallet.Â If they don’t have your PIN, they can’t use it. So in case your debit card gets lost or stolen, simply call your bank and your account will be protected. 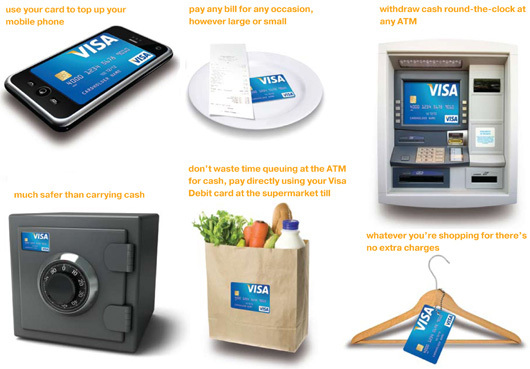 With all these advantages, I still can’t understand why so many of us Filipinos still don’t have debit cards. Most of us just stick to ATM and credit cards. I remember when I was in France for my student exchange program a few years ago, so many people there carried debit cards instead of credit cards. They use debit cards for shopping, groceries, dining, etc.Â I think it’s about time we do the same here. You’ll surely love the convenience and ease debit cards bring. Plus, there’s no commission and hidden fees too. I urge you to try it! Get your own VISA debit card through these banks: BDO, Chinatrust Commercial Bank, Equicom Savings Bank, Inc., HSBC, Standard Chartered Bank, Sterling Bank of Asia or Unionbank.